In Destiny, farming refers to spending time in PvE (mostly) game modes with the intention of mass collecting materials which are used to upgrade either your guns or your gear. You can also farm Glimmer which is the main currency system in Destiny, Legendary Marks and just about any consumable. In this post, I’ll be mostly talking about how to farm Upgrade Materials. Use a Ghost Shell that highlights the upgrade material type you’re looking for. You should have a Ghost Shell for every type: Spinmetal. Helium Filaments, Hadium Flakes, Spirit Bloom and Relic Iron. It does not matter if your Ghosts aren’t all high level, this is about function and not your over all light level. Ghost Shell works by showing you an icon over raw upgrade materials on the map – you must be within proximity. 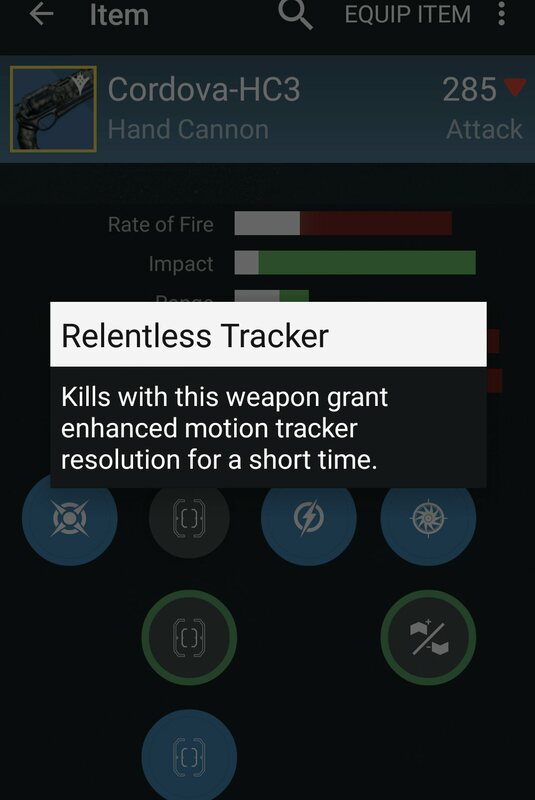 Use a gun with Enhanced motion tracker. The gun I use is the Cordova-HC3 Handcannon, it’s rare and a 285 light level. Enhanced motion tracker will show you the location of raw upgrade materials on the map and chests – most of these perks aren’t standard but can be activated w/ kills or headshots. Enhanced Motion Tracker is helpful for finding chest locations that are in crevices or in weird places in general. Know your route. When in an area of a map, be sure to move around. Going in and out of the same 2 chest rooms over and over won’t net you as much results as you making a full loop around the map. If you’re not seeing chest / raw material respawns, it maybe time to leave the area (until you see the name on the map change) and then come back in a few minutes. The more people in your area; the faster resources will deplete / the higher the chance for someone to find a chest or raw upgrade material and pick it up before you which will cause it to be off map for you if you’re not in very close proximity. If it’s a crowded area, maybe move on to another map section. For best results use #1 and #2 to maximize the amount of upgrade materials you can get in the time you’ve allotted to farm. Depending on where you farm, be sure to use the consumable related to the enemy you’re killing so you can also farm glimmer. The aim is get as much out of your time as possible. Here’s the Hand Cannon I referenced above; the perk I have is: Relentless tracker – I’ve seen a similar perk with the name Enhanced Motion Tracker as well. Hope these tips help you cut your farming time down because let’s be real…who’s spending their precious Legendary Marks on upgrade materials? My friend’s and I have been really into Destiny lately, and I wanted to get some tips. You wrote that when you are playing, you should make sure that you become familiar with the maps. Perhaps there is a way I could train with professionals, as they would know every nook and cranny of the maps. Thanks for the advice.